Christmas should be a day filled with joy, security, and celebration! For some, Christmas can be painful, lonely, and triggering. This is a reality for many reasons, one being that Christmas gifts are expensive and, for some individuals and/or families, one’s lack of ability to provide gifts for those they love causes shame and the lying whispers of their worthlessness intensifies. One way to prevent this from happening is to provide an “Affordable Christmas Store”. We are collecting *new* gifts and selling them at a price that doesn’t cause anxiety but rather pride and dignity in actually allowing them to be able to buy something meaningful for someone they love. 100% of the proceeds will go back to our programs that are supporting the participants of this event. We invite you to help us make this happen! 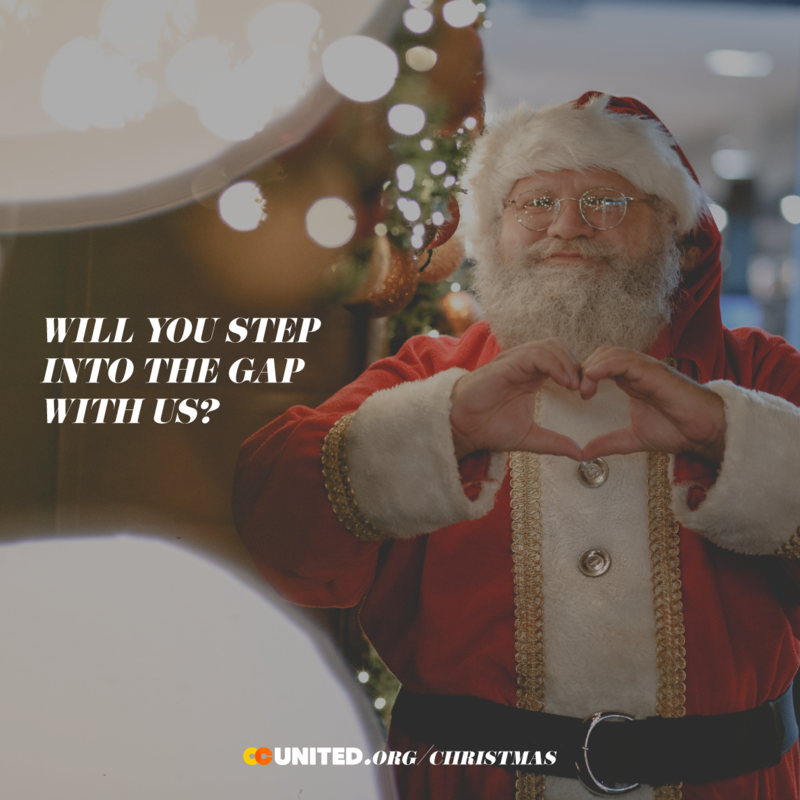 Our store will be open Saturday, December 15th, from 10am – 5pm and will be available to all individuals within OC United’s initiatives: aged-out foster youth, fostering families, individuals who are homeless, domestic violence victims, and families from at-risk neighborhoods. For Children – Legos, baby dolls, trains, board games, NERF-guns, transformers, etc. For Teenagers – portable speakers, FujiFilm Instax Cameras, make-up, headphones, hydro flasks, etc. For Adults – Kitchenware, purses, scarves, perfume/cologne, workout equipment, wallets, belts, etc. With your help, we can provide Christmas for 300 individuals! If you have any questions, are interested in donating an item, or wanting to help with the event itself by organizing, wrapping, and selling gifts, please email Lindsey at lindseyd@ocunited.org.